Tatiana Sovyk is a passionate Veterinary Technician originally from the Ukraine. While still living overseas, Tatiana completed 4 years at Poltava State Agrarian Academy and even worked at a dairy farm for 2 years. She moved to the US 5 years ago and initially lived in Iowa for a couple of years before settling down in Central Florida. Tatiana and her husband have a lovable German Shepherd/Greyhound mix named Zeus, and a sweet cat named Ariyah who is one year old. Both were rescued/adopted and playfully interact like they are brother and sister. 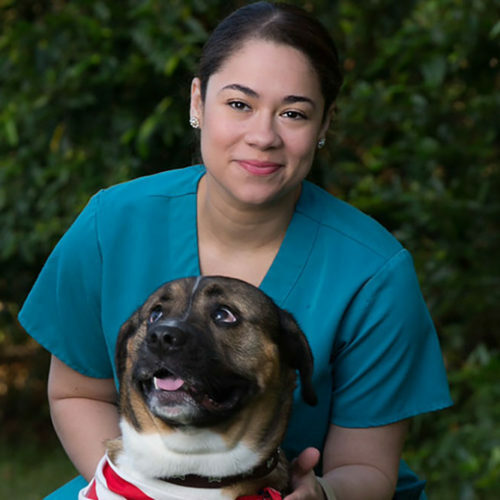 Tatiana has wanted to become a veterinarian since she was a small child and began working as a volunteer in an animal shelter when she was 15 years old. 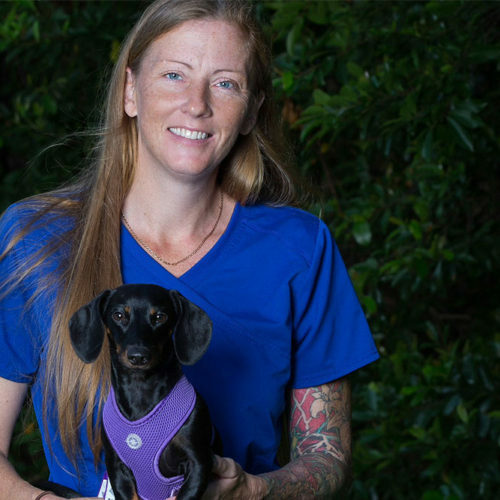 With around 10 years of experience in the veterinary field, she brings a special knowledge and deep compassion to all of our pets at NOAH. Tatiana says she has had a lifelong connection to animals and she hopes to achieve her dream of becoming a Doctor of Veterinary Medicine one day. We are so lucky to have such a compassionate and determined vet tech like Tatiana on our team at NOAH.